Nim was in shock. 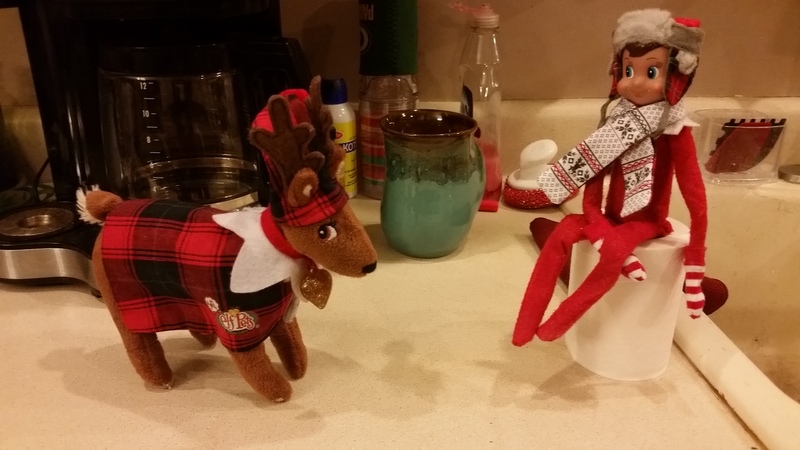 The head reindeer and Santa had both given Glitter a lecture on proper scout behavior and yet here she stood smiling. 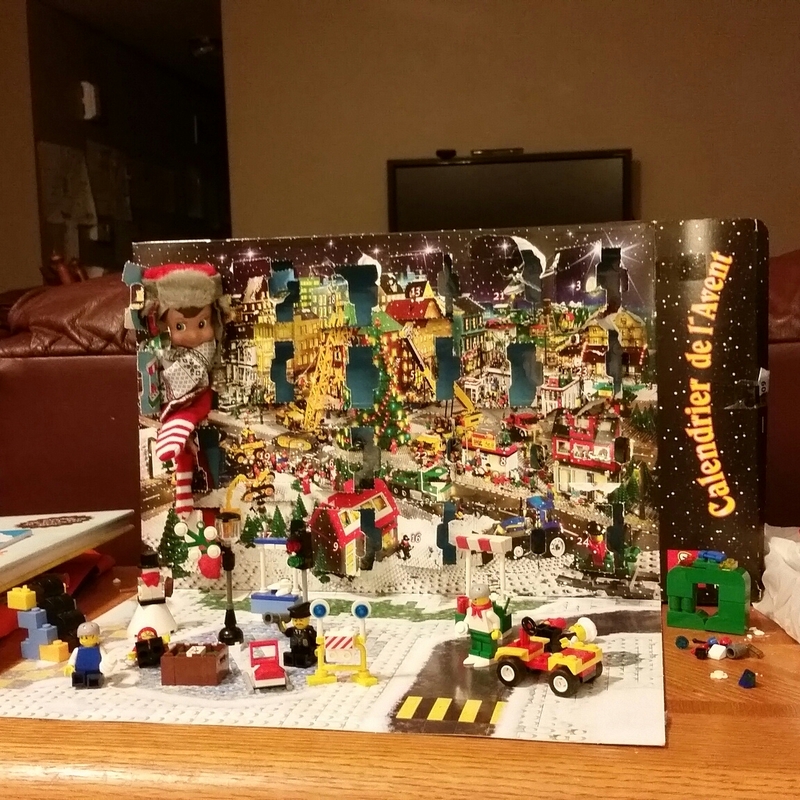 “Santa and Captain O’Flurry just–“. “Oh. Well.” Nim couldn’t think of any other way to respond. Only her first offense? What was going on with her? “I don’t think we should make a mess tonight,” said Nim, almost laughing at how ridiculous that sounded…coming from him. 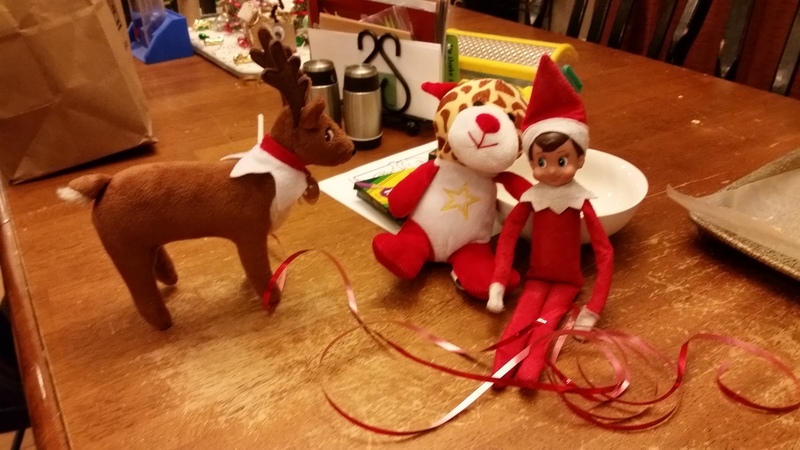 “The zipline isn’t for them, it’s for their toys,” said Glitter as she pointed to Leonard the Reinraffe. Nim’s eyes sparkled as a sudden idea took root. “Let’s see, we’ll need some more stuffed animals,” Nim said as he started floating toward the boys’ room. “Why don’t you help me Glitter?” Nim grumbled. 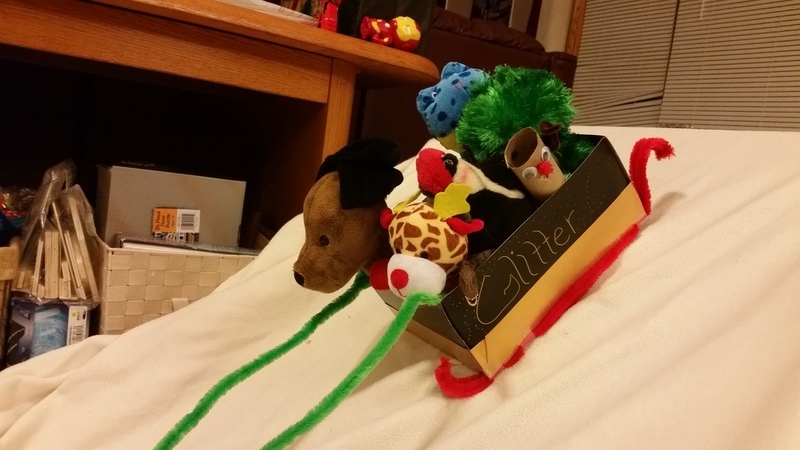 By the time Nim had finished hauling all of the stuffed animals, dinosaurs and superhero toys from the boys’ room, Glitter had transformed an old shoebox into a beautiful sled. “Where’s my name?” he asked, noticing the shiny gold lettering on the side of the sled. “But there is no time for me to make one now!” Nim said sadly. 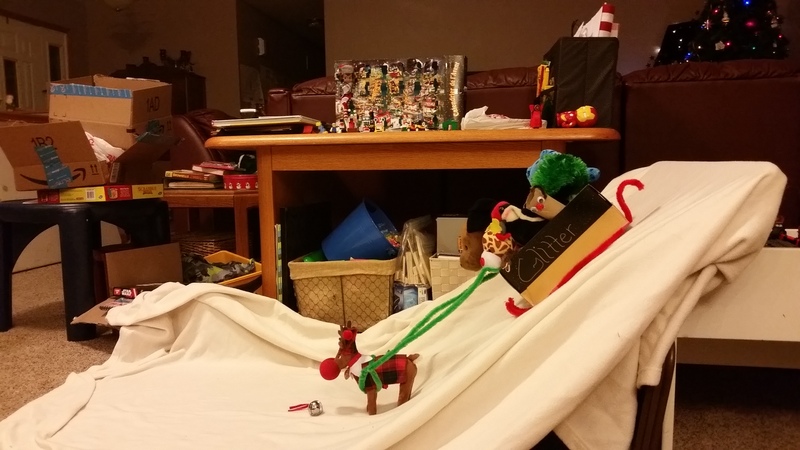 They quickly made a harness and reins from a couple of pipe cleaners and had Glitter hitched to the sled. Nim whizzed to the boys’ room and came back with what, he thought, was missing. Glitter beamed with pride. 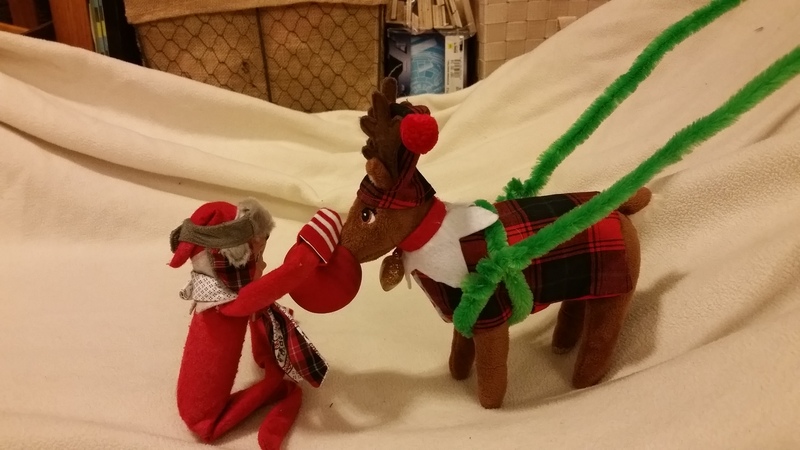 There was no greater honor for a reindeer than to be compared to the one that lights Santa’s way. Leave a friendly note where someone will find it.